Today at the Intel Developer Forum (IDF), Fossil announced a new Android Wear smartwatch, powered by an Intel mobile processor. Fossil kept details, such as specs and availability tightly guarded, but the public can expect to see the device launch around the holiday season. The watch appears to be similar to the Moto 360 in overall design, with the exception of the lugs. A power button looks to be in the same 3 o’clock position, and sadly, a black bar rests at the bottom of the display, the same as is seen on the Moto 360. Other than that, buyers can expect leather bands, with Silver or Gold bezel and bodies. 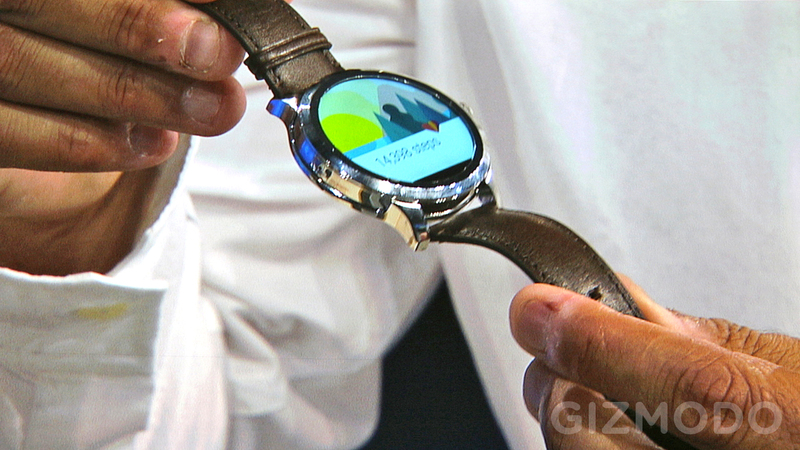 Fossil’s want to release a wearable is no shocker, as they were announced as an early partner of Android Wear, but that was back in March of 2014. We certainly were not expecting to wait this long for an actual device. With TAG teasing their device, and now with Fossil launching their own, are you excited for a new lineup of fashion-first Android Wear devices?